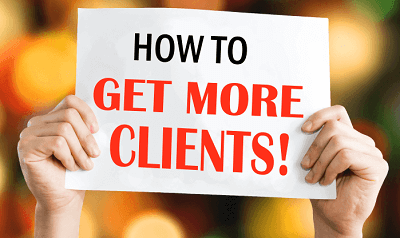 Want to get more clients for your wedding planning business? Wondering how to do it? The success of every business depends on effective marketing strategies. Impressive advertisements, PR and branding play a key role in attracting customers to your wedding planning business. The initial step is to try and reach your prospects through Networking. You can join associations and clubs where your prospective customers come often. Get to know the other person rather than bluntly pitch your business. Of course, you should give a short introduction where you tell something that will arouse the curiosity of the other person so that he is tempted to ask for further details. They may not need your service right now but will be happy to refer business to you. Next step is to make your business known to general people. An advertisement is a great tool to create awareness but you should advertise only in places where you can hope to get in front of your ideal customer. You should advertise in a magazine popular in a locality rather than the city’s most popular newspaper. This will allow you to manage with a lower budget. You can also hire stalls in a targeted exhibition like Vivaah. Use B2C search portals like Justdial or Indiamart to enlist your business to reach out to the people who enquire about resources by calling or visiting their sites. In today’s world, a strong online presence is a must for any business. You, as a marriage planner should have a decent online presence to gain good visibility in your prospects’ mind. If you serve a local geography, get registered with Google Maps through Google My Business program. This can refer some really targeted, local prospects to you. You also need to have a website where you can list your services and showcase the events you have done earlier. Nothing beats the impression generated by real pictures of the decoration themes and satisfied, happy clients. Applying even a few online marketing strategies to your website will put you ahead of scores of other me-too websites. Unless you have been hiding under a rock, you are well aware of the social media revolution sweeping the world. Create a blog and share good tips. Your potential clients will get to know about your skills and will get in touch when they have a need for your services in their family. Share your knowledge about the latest trends in the wedding industry. Try to become a thought leader. Discuss the new trends in the wedding market. Run a survey, ask open questions to your readers about what they like and what they don’t in the marriages they attend. Facebook, Twitter, LinkedIN, Instagram, Snapchat etc are very powerful media. Join these if you can set aside some time daily or weekly to interact with the people. These media have such a strong traction that you can generate a powerful word of mouth within a few days or weeks. You must develop a process to get a testimonial from each of your clients once their event is over. It will be great to have at least a few video testimonials but you can also get a written testimonial with a photograph of the client. What were your expectations when you hired us? How well did we meet these expectations? What specific benefit did you get by hiring us (like cost savings while buying things, saved time to look after the business, managed to have unique decoration, the food was awesome). Some people will ask you to write the testimonial on their behalf. Avoid this. Your self-written notes will sound similar. Also when they write good things about you, they get a sub-conscious signal to refer you to their acquaintances. As mentioned above, a reference from a friend or family member can convince a potential client much more than your best Powerpoint presentation can. Feel free to ask your satisfied clients to refer you to their associates. If they are happy, they will feel good about helping their friends organise a great event with your help. To keep this desire alive, you should consider staying in touch with your clients by sending them periodic cards. A small, tasteful gift can work wonders with the well-connected clients. Every time I receive an anniversary card and a bouquet from my event organiser, I feel a strong urge to refer him to someone to return the gesture. Leverage this principle of reciprocity. You must be having a good relationship with several vendors whose services you use when doing different events. If you develop a good mutual understanding with them and refer regular business to them, you can definitely expect them to refer you to people who ask them for good resources. Wedding professional circle is close-knit; wedding vendors see one other at various weddings they are hired for. They know each other’s strength and thus can endorse you for any upcoming wedding event. Your clients want their events to look the best. This is a social status thing. If you use the modern tools and concepts in the events you organise, you create the impression of a well organised, contemporary company with a good grip on the new trends. This helps you garner more business as well as charge a decent fee for your services. You don’t have to fight for the change. A very useful tool in this context is WedPlan: The Online Wedding Planner Software. When you use this, you make your team very efficient and therefore, you can spend much more time thinking up smart new ideas for the events. Check out a free demo here! You will be happy you did.